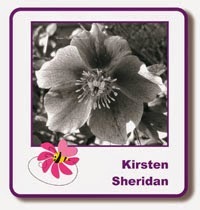 Good morning crafters, Kirsten here, thank you for the kind comments on my card in Monday's blog post. 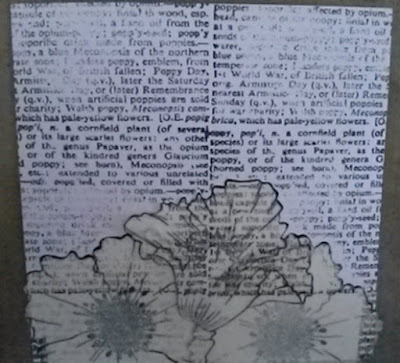 I'm standing in for Lisa today & my card is based on her idea for one of last Friday's class projects. I used Dylusions paints again, (have I mentioned how much I love them?? 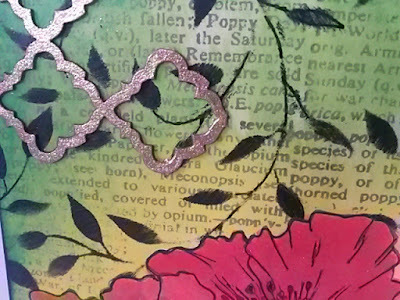 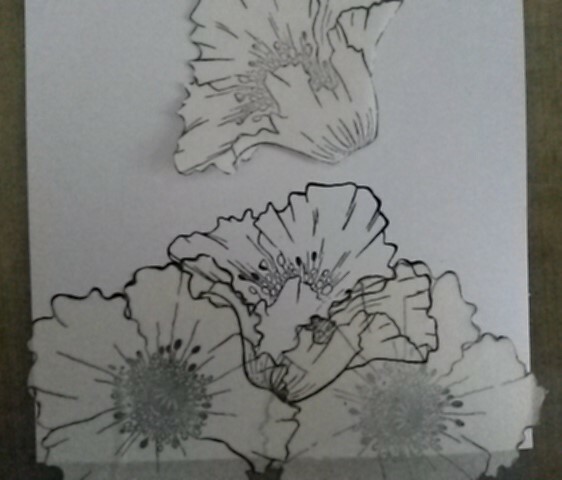 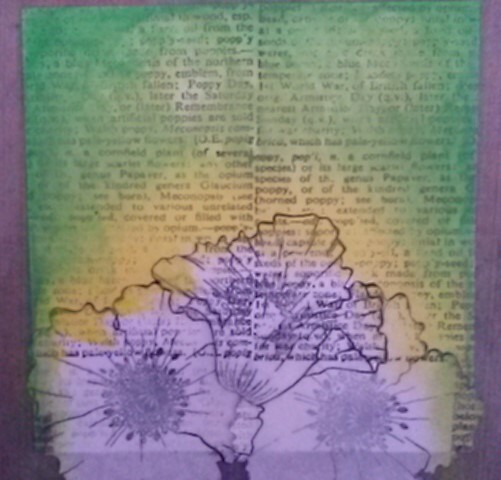 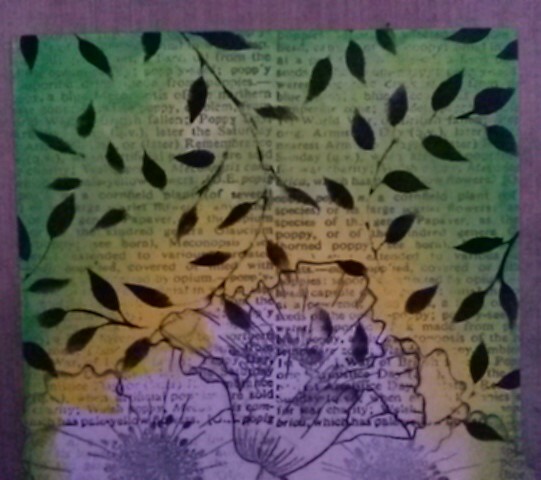 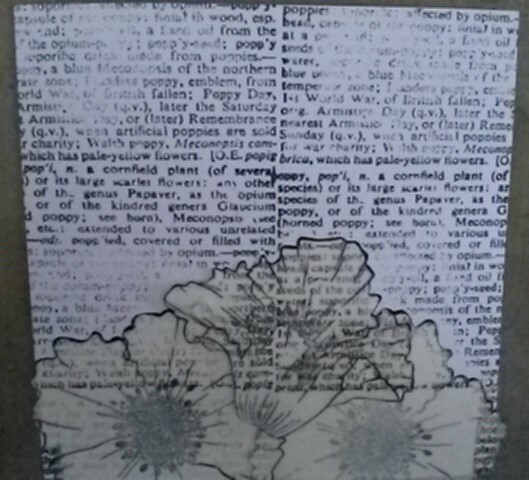 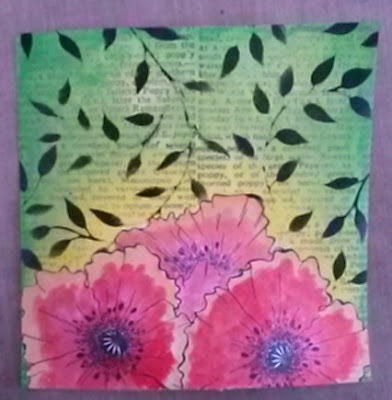 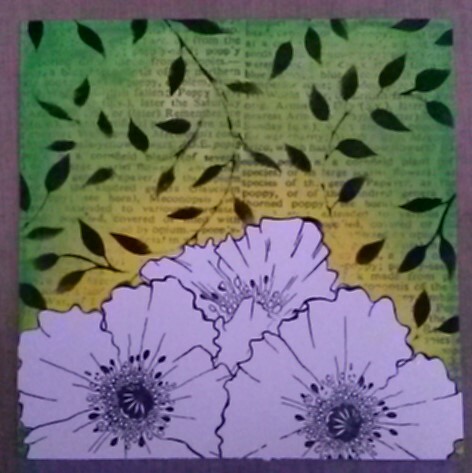 ), with the Hobby Art Poppy Heads stamp set (more sets arriving this week) & the Imagination Crafts' Leaf Swirl stencil. Enjoy the rest of your week, see you on Monday.